Make a quantum leap in your ability to speak and keep your audiences on the edge of their seats leaning on your every word! Learn the system to make it happen. 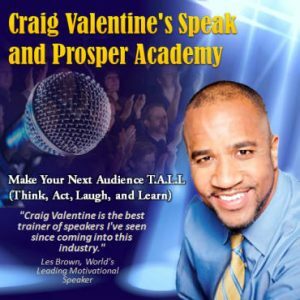 Click here to get the tools to become a speaker in-demand or to present with impact and persuade with ease.